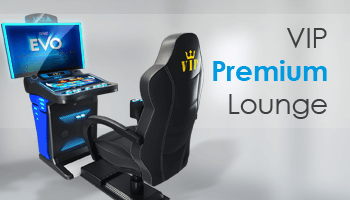 APEX PINNACLE BLACK SERIES – APEX pro gaming a.s. 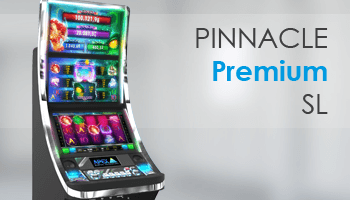 The Pinnacle 24 upright has received a facelift, making it even more fashionable. 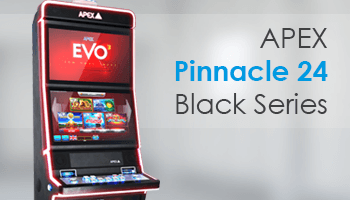 Introducing the Pinnacle BLACK SERIES. 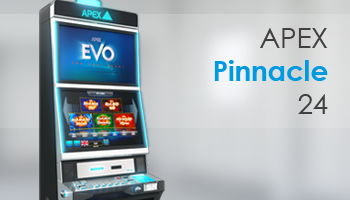 The Pinnacle 24 upright has been updated to stand out even more on your gaming floor. The new front design boasts all-round LED lighting. The Pinnacle Black Series is the latest addition to the ever-growing Pinnacle family. The brand new front design boasts all-round LED lighting that changes colour. 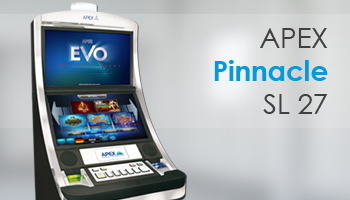 This makes this slot machine look even more fashionable and draws positive attention to it. The Pinnacle Black Series appears fresher, more modern and younger. The Pinnacle Black Series is equipped with dual 24” monitors. The flexible, modular design allows for all market requirements to be fulfilled. Banknote readers, banknote recyclers, ticket printers, card readers – all such components can be freely configured. 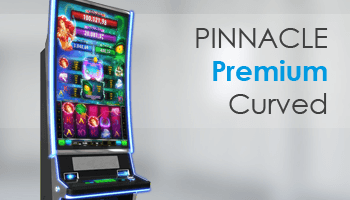 The Pinnacle series clearly demonstrates why APEX gaming is taking gaming to the next level. The second company motto – ‘see the difference’ – takes place not only when viewing its beautiful, ergonomic design. A look inside confirms why APEX gaming enjoys such an excellent reputation.